If your are a small business owner, at some point in time you will likely visit your bank about a business loan. 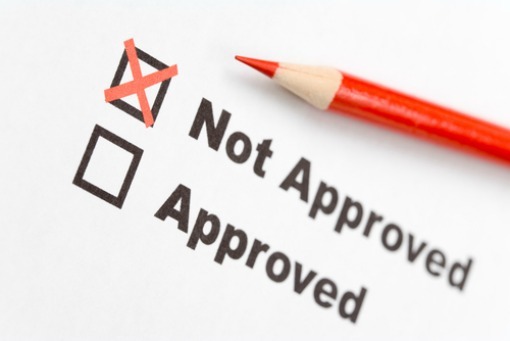 If you are new to this process don’t be surprised when you are politely informed by the loan officer that your small business loan was denied. While small business loan approval rates via traditional financing in 2018 have increased, if you are dealing with a Big Bank ($10B+ in assets), the chance that your small business loan is denied is over 74%! Alternatively, if you go with a smaller community bank, particularly if it is a member of the Small Business Administration (SBA) lending network, this will improve your chances of loan approval to about 50%. Don’t like these odds for loan approval? Well you have a couple of options available to you to get that business capital. One, you can consider the alternative business lending market, which offer greater flexibility for loan approval, but at a higher financing cost. Or two, you can learn from this experience of loan rejection and go for it again in the future when you are better prepared. For many traditional lenders (banks), a small business with less than two years in operations often will not be considered for a business loan. It is simple to understand. Banks balance risk versus financial reward. If your business has a short time in operation, a lender will have difficulty evaluating your business’ future financial projections, long-term cash flow and ability to repay a loan. Your business also will have a limited business credit history and commercial references to evaluate. However, there is a popular exception to the minimum two years in operation guideline. This would be the small business loan financing available from the Small Business Administration (SBA) lending network of banks. Because the most popular SBA Standard 7(a) Small Loan is guaranteed up to 85%, the SBA lending network will offer greater flexibility for approval to a business with limited operational experience. However, to qualify for an SBA loan is not an easy process and has a variety of restrictions. As a business owner you are likely familiar with your personal credit score. Whatever type of financial transaction you have in your personal life is recorded by the major credit bureaus. In a similar fashion your small business also develops its own credit score (financial profile) as it conducts commercial trade with vendors, clients and financial institutions. But this is a slower process and not as well understood by many small business owners. Any traditional financial lender will require a verifiable business credit history to consider a small business loan application. First – legally formalize your business (S-Corp, LLC, etc.). Until this happens your small business is really a personal activity. Second – open a business checking account. This will then allow all payments to vendors and creditors and receipts from clients to be recognized as your business financial history. Third – you must separate your personal from business expenses. This should be part of setting up your business accounting system. Fourth – be consistent with on time payments of business expenses, since this will be reflected in your business credit history. Fifth – get a business credit card to facilitate making electronic business payments, rather than using your personal credit card. This will also will be reflected in your business credit history. If you are not familiar with how your business credit history is determined, you are likely to make financial decisions that will have long-term negative implications for your business. Similar to how your personal credit score serves as a financial rating for you as an individual, your business credit score ranks the creditworthiness of your business. Your business credit score tells lenders, vendors and suppliers how likely your business will repay them on time. All of the above gets translated into a business credit score (i.e., number) that your financial lender will evaluate at the very beginning of a small business loan evaluation. For small business loans and SBA loans of less than $350,000, the FICO Small Business Scoring Service (SBSS) will be used. To pass the initial test, your small business needs a minimum required score between 140-160 (higher the better). Without being explicitly stated by your financial lender, if your business credit score does not meet the minimum level, you will be informed that your small business loan was denied. End of conversation. Why so curt? Time versus money. It does bear repeating: Banks are in the business of making money. A financial lender will invariably take into consideration your personal credit history as the business owner. This is referred to as Character and is the 1st C of Credit. If you have a poor history of consistent bill payments or managing your credit limits, the financial lender will naturally assume that your business will also demonstrate the same pattern of behavior. Since the financial lender always has to balance risk versus reward in every loan decision, if you are perceived to be an unwarranted credit risk, the financial lender will forgo the “reward” and decline your loan application. To avoid this, your personal credit history should be above 620 to receive loan approval. While a good personal credit score is no guarantee for success, a poor credit score likely ensures that the lending officer will tell you that your small business loan was denied. Any traditional financial lender will require extensive paperwork from you as part of the small business loan evaluation process. Let’s be clear, lots of paperwork. If you are applying for a SBA Loan, you will need to provide: a written business plan, financial statements or projections, personal and business credit reports, tax returns and bank statements. Also you will need to provide copies of relevant legal documents including articles of incorporation, contracts, leases, and any licenses and permits needed to operate. The most difficult paperwork is your written business plan. Think of it like a university graduate exam. The traditional financial lender needs to see the specific uses of the loan funds and how it will contribute to the growth of your business. Whether your business plan is to purchase equipment, office expansion, additional hiring, etc., it is your job to convince the lender that there will be a positive outcome from the investment in your business and guarantee of the loan repayment. To minimize risk, the traditional financial lender will require that your business or you personally provide asset collateral to secure the loan. The lender wants to see your skin in the game as well as the bank’s. The better the quality and value of the asset that you pledge, the more likely your loan will be approved. This is referred to as the Capital asset and is the 3rd C of Credit. Traditional financial lender (banks) have identified particular industries that they prefer not to finance, generally due to risk concerns and public perception. This is referred to as Condition and is the 4th C of Credit. So while your small business may be stellar, if your business happens to fall into one of these industries, you will need to consider alternative financing for your capital needs. Really, it’s nothing personal, it’s just the way it is. Seven reasons why your small business loan was denied are presented with suggestions on how to avoid them the next time. The more mature your small business is, the greater likelihood of a stronger business credit history and supporting collateral assets. This will help reduce the perceived risk in the eyes of the financial lender and get your small business loan approved. ← Business Credit Card Or Merchant Cash Advance?